Stress isn’t something that you can swat away like it is an annoying fly but if you learn to close the door, then the fly can't come in. So, this is not about getting rid of stress but stopping it from distracting you. In the end stress isn’t something you can beat, and I'm not going to be the one to make you believe otherwise but I am going to be the one that tells you, you can reduce it. It is said that relaxing is one of the best ways to rid you of stress, now obviously just sitting down and doing whatever you want has its limits in helping you. And of course, you may be the type of person that stresses about relaxing because you are wasting your time when you should be doing you school work. But the question to ask yourself is, does it really matter? How much will this really affect your future, and the answer is different for everyone. Maybe the result of the next test will change things for you, maybe it won’t. Try to put things in perspective and be realistic. A lot of the time procrastination can stress you out. You spend so long studying that the smallest thing can distract you, so avoid this by staggering your studying. If you manage your time and give yourself set breaks there is a lot less of a chance that you will get distracted, therefore reducing your stress. Get moving. Fresh air is a privilege we forget we have, so use it. Go for a jog or a short walk outside. This will give you time to breathe in and out. As well as that physical exercise helps improve your quality of sleep which also reduces your stress. Now these are just a few solutions but sooner or later you will realise that some stress reducers won’t help you and others will, so you have to figure out what calms you down, what reduces your stress. Once you find something that suits you, stick with it, use it to your advantage to get through the stresses of life. Be diligent when it comes to stress and understand your limits. Acknowledge that stress can be a serious issue if it is caused to become extreme. 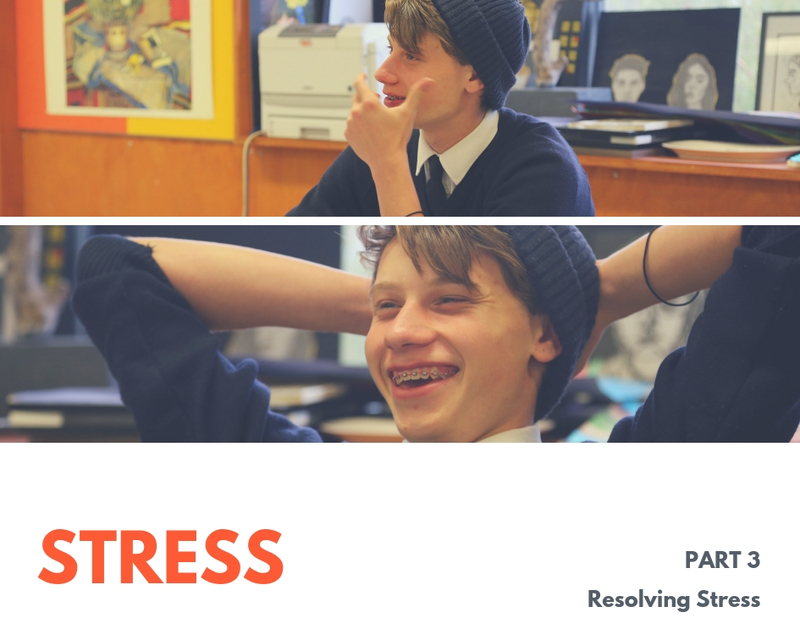 If in need of more information, refer to previous stress articles to review, what is stress and what stress may cause. Use this information to learn how to take care of yourself and the people around you.